Tony Bellew is breaking up with boxing, not the other way around. 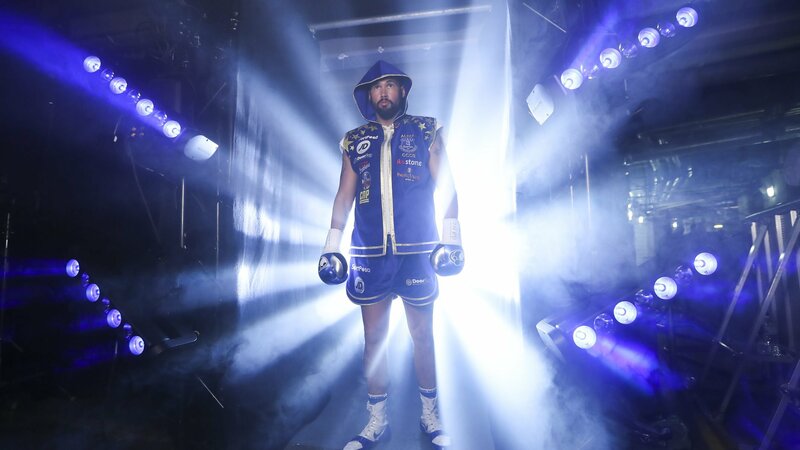 And much like the end of Casablanca, Bellew will get that one last chance with his first love as he looks to become the undisputed cruiserweight champion on November 10th in Manchester. Bellew, a former WBC cruiserweight champion and current emeritus cruiserweight champion of the same governing body, drops back down to cruiserweight after two fights against David Haye at heavyweight. Bellew looks to walk away no matter the result at the Manchester arena, because of his latest and greatest love, his wife. The reason Bellew is facing Usyk is due to the current undisputed cruiserweight champion calling out the British boxer following his victory earlier this year, while Bellew was on his honeymoon. With his wife staring down Eddie Hearn heading into Saturday night’s fight, Bellew knows that being out of boxing is good for his health in multiple ways. “I can’t beat her,” Bellew said of his wife, Rachael. “She’s the most important thing to me in this world, alongside me kids. So, I made the promise this time. That’s the only reason she agreed to it. So, on Saturday night, I’ve always said this, and I’ll reiterate it, I’ll say it again – boxing will not retire Tony Bellew. I will retire from boxing. And while Bellew may be walking away from the sport, that spark is still there for one more dance in the squared circle and promises a nasty and horrible man will stand across from Usyk on Saturday night. “Nothing has left me,” Bellew told BoxingScene.com following a press conference Thursday in Manchester. “You’ll see Saturday night. Believe you, me, a vicious, nasty, horrible man turns up. You will see a different me, even by the appearance of the way I turn up on Saturday. You’ll see. The horrible man that came into professional boxing turns up on Saturday night.